I have to admit it, lunches around here can be a bit boring. I tend to offer the same, sad choices: sandwiches (ham or PB&J), tuna salad with noodles, leftovers, bean burritos, or something picked up from elsewhere. Every once in a while, I'll shake things up a bit with a fried rice or soup with grilled cheese. Seriously, THOSE are our exciting lunch options. So when I suggested pizza quesadillas, it was a perfect veer from the usual. And, it was SO EASY! I simply started by melting a bit of butter in a small pan on medium heat. 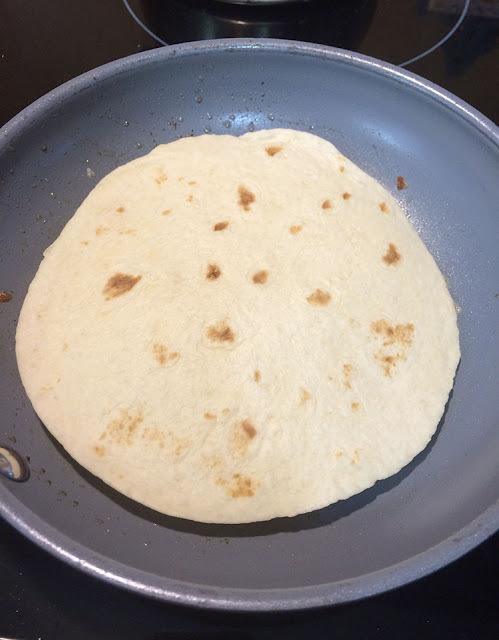 Once the butter was nice and hot, a flour tortilla was place in the pan. 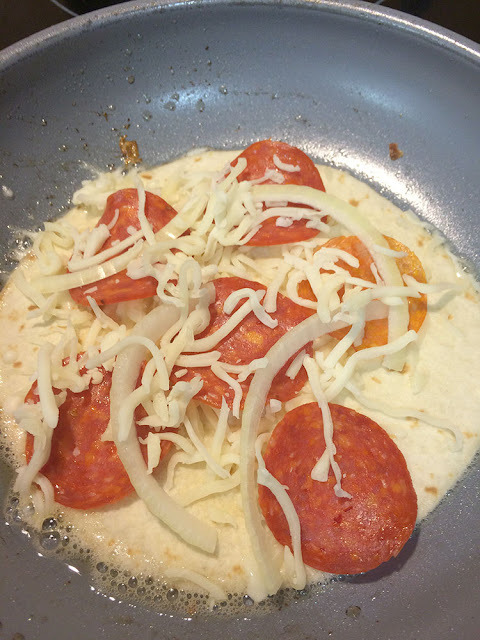 I topped the tortilla with a sprinkling of shredded mozzarella cheese. 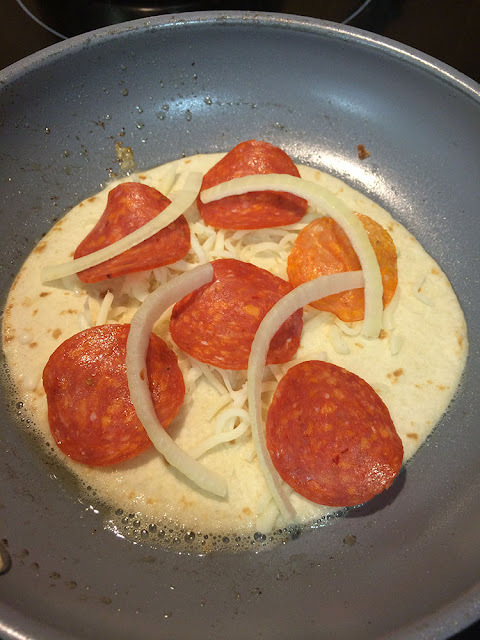 Next came the rest of the toppings: pepperoni and onions. If I had had some mushrooms or tomatoes or fresh basil, I would have added those too. You do you though. Throw on some bell peppers or olives or whatever makes your pizza-loving heart happy. But, work fast! Add another sprinkle of mozzarella. Top with another flour tortilla. 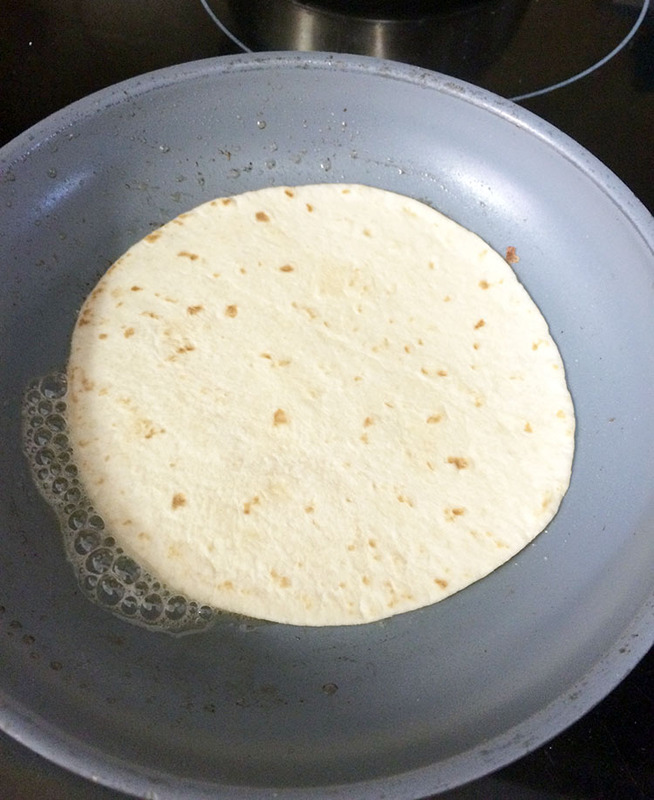 Once the bottom tortilla starts to brown, flip it over to brown the other side. Slice the quesadilla and serve with marinara sauce for dipping. As you can see, I added some sliced apples to round out the lunch. 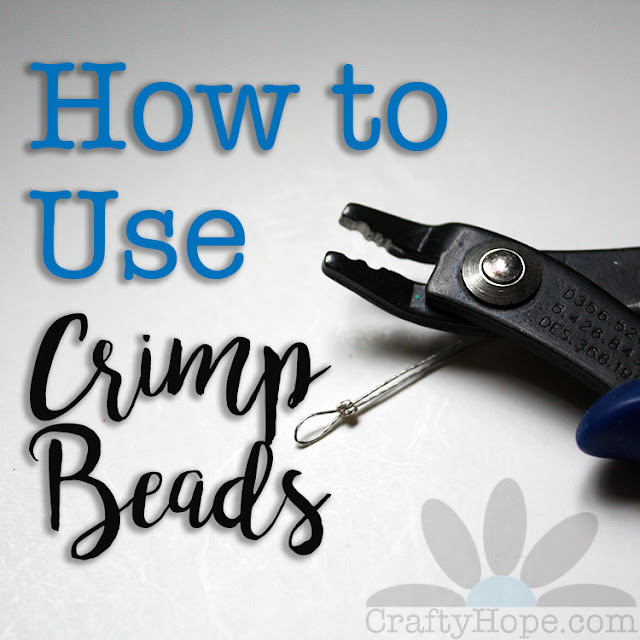 So easy and so good!! Oh, and quick tip - I use a pizza roller to cut our quesadillas (whether they're pizza-themed or not). It's so much easier than using a knife to do it. Toppings of your choice: pepperoni, onions, mushrooms, garlic, olives, bell peppers, sausage, bacon, chicken, other cheeses, really the choices are endless. 1. 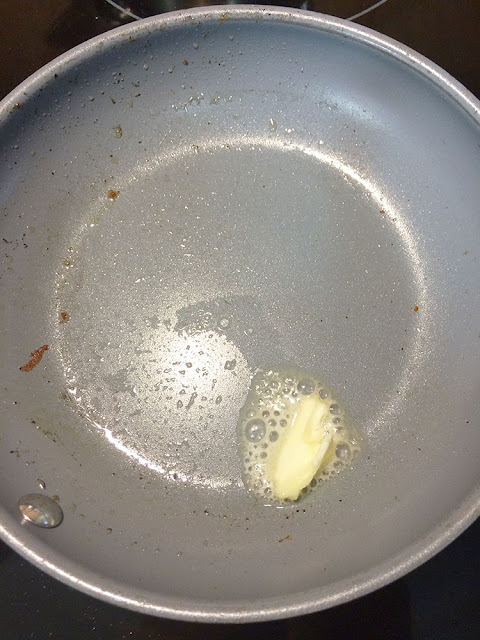 Heat butter in a small pan on medium heat until melted. 2. 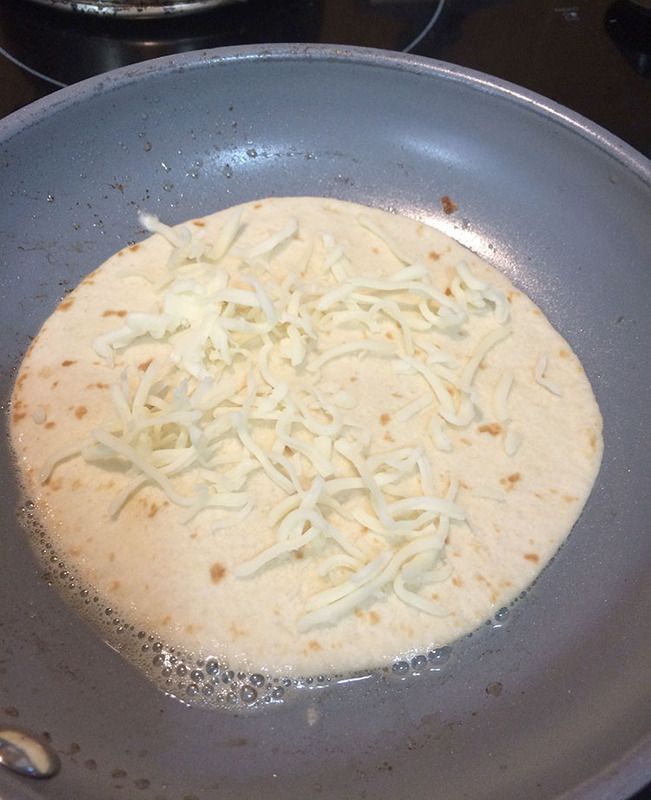 Place one tortilla in the pan, top with half the cheese. 3. Add pizza toppings then the rest of the cheese. 4. Place other tortilla over the top of the first. 5. 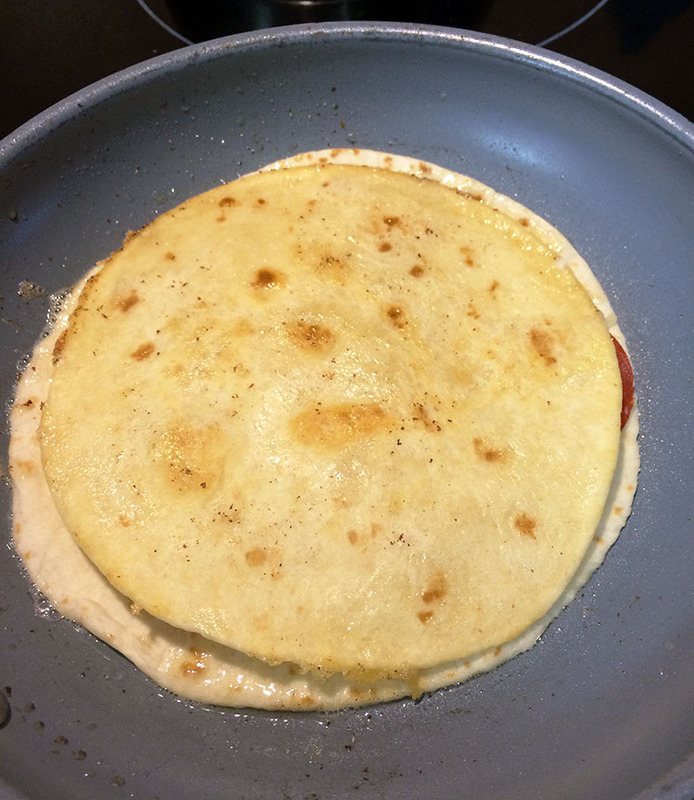 When bottom tortilla toasts to your liking, flip the quesadilla. 6. Toast until the other side is browned as well. 7. 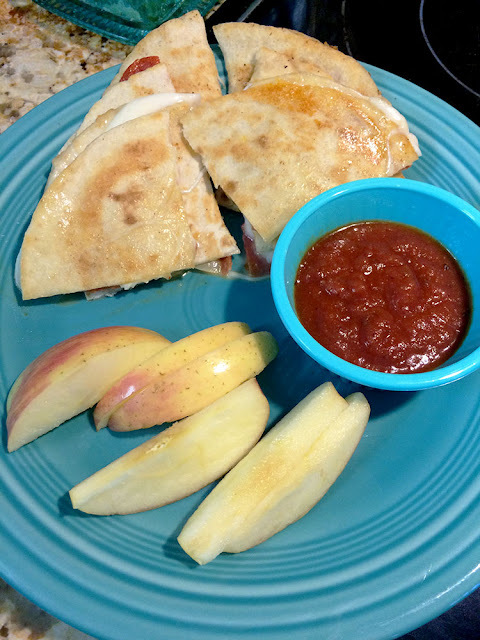 Move pizza quesadilla to your plate, slice it, and serve with marinara sauce on the side. 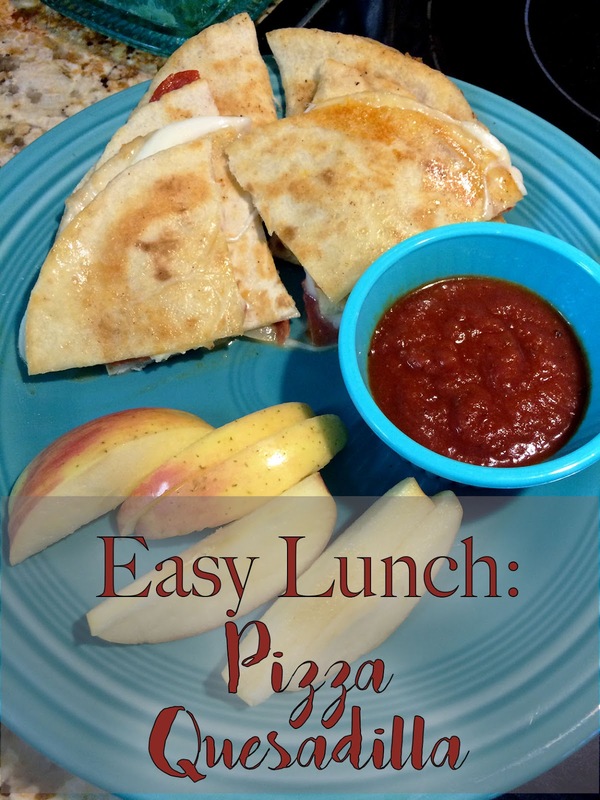 Now, I've shared a lunch option that's a little different. Please let me know what you do to shake lunch up. I'm in desperate need of some variety! What a great idea! I reckon my kids would love it! Thanks! 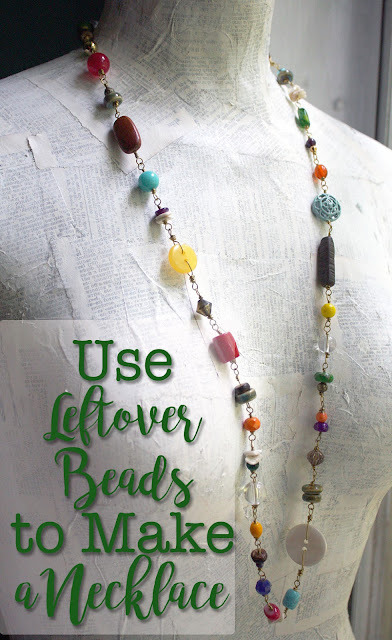 Fun idea! I may have to try this!! !